One of the best things about being a kid is the attitude that anything is possible. Crazy ideas and innovative solutions to problems are not knocked flat by common sense and embarrassment. 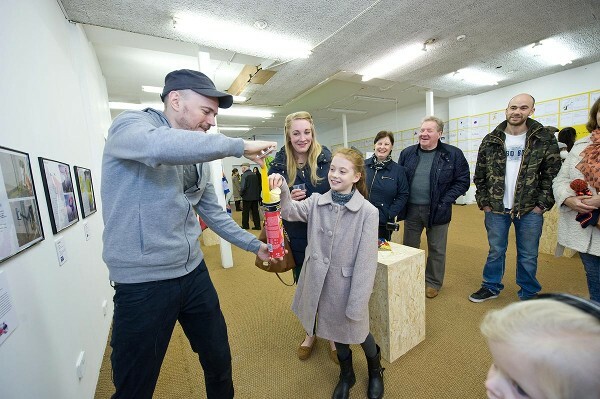 With that in mind, artist, designer and inventor Dominic Wilcox asked 450 children to draw their own invention ideas – then had some of them made into real things. Like this family-sized scooter. The results from the Inventors! project are inspiring and practically perfect. As a student in the UK, Dominic was shown a book of odd inventions by an artist and asked to come up with some ideas – soon realising he had a talent for thinking of innovative and creative things. As a result he has exhibited worldwide in museums and galleries. How one person can influence a young person’s creative life simply by showing what is possible has stayed with him throughout adulthood. Gathering more than 600 “odd, absurd and brilliantly clever” invention drawings from children in his home town, Dominic picked out 60 that he thought had great potential. Local makers helped bring some of the ideas to life, making simple thoughts a reality. 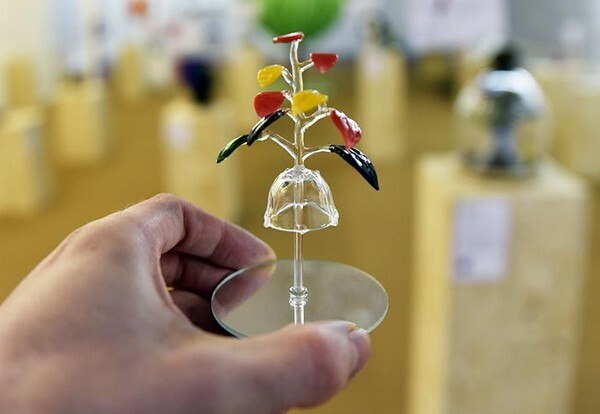 They were displayed as part of an exhibition for the community. 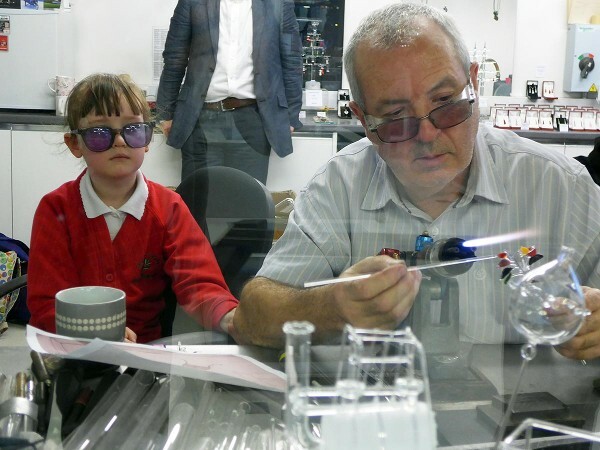 “The children’s excitement at seeing their idea made real was wonderful to see,” Dominic says. There was the “great for a big family” Family Scooter by nine-year-old Wendy Ridley, (pictured top of post). The Pringles Hook to help if you’re hungry but struggle to get all the Pringles out of the can from Georgia Dinsley, 11, is true kid genius at work! 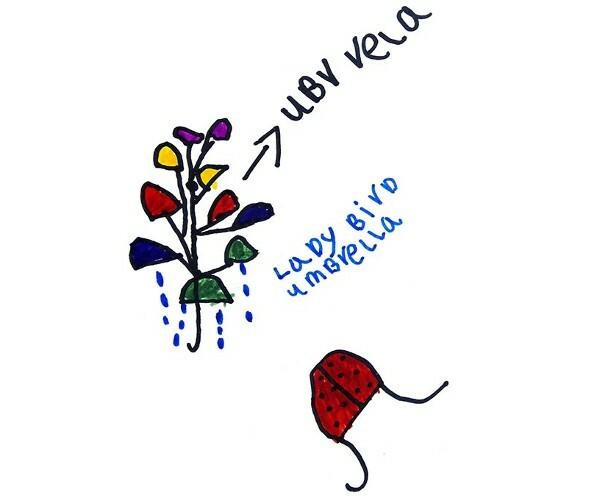 And we adore Sophia Carr’s Ladybird Umbrella, that the five-year-old wanted to make to keep ladybirds dry. Of course. 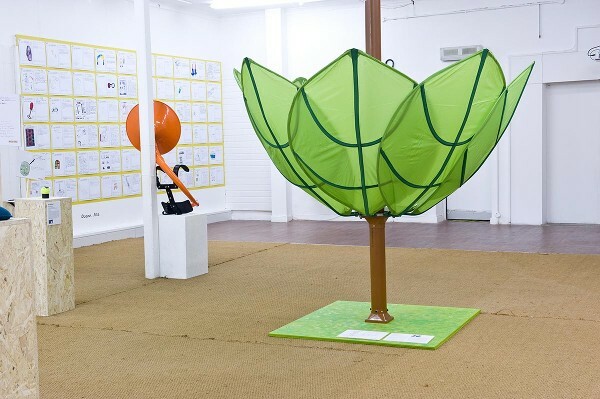 Some of the kid inventions that are now prototypes include a Super Fast Tennis Ball and a Paint Splatta Baby Sleeper, where “you put the baby in the pouch and attach the paint splatter blanket to the wall and the baby sleeps on the wall.” Who wants one? Six-year-old Ameliya Liddle came up with a Food Cooler Fork, a fork and fan put together to cool your food. But something we can really see catching on is Elsie Ronald’s Leaf Catcher. Although the frightening idea by Krystal James, 9, is something we hope does not come to fruition. Ever. 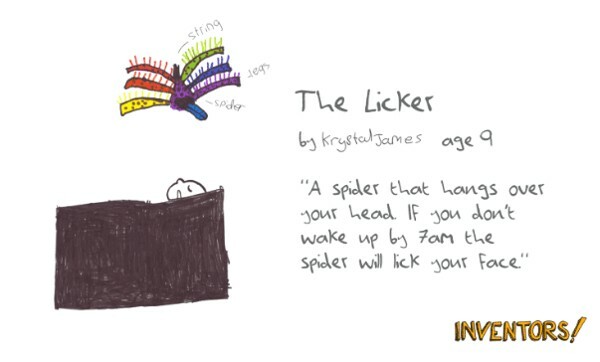 “My invention is for when you can’t be bothered to wake up in the morning well when you wake up, a spider will be hanging on the ceiling and if you don’t wake up by 7am it will come down and lick you on your face,” says Krystal. Children are very creative and are making their mark in the design world. Recently furniture giant Ikea made and sold a collection of soft toys based on drawings from children all over the world, part of a regular initiative to raise money for education projects.